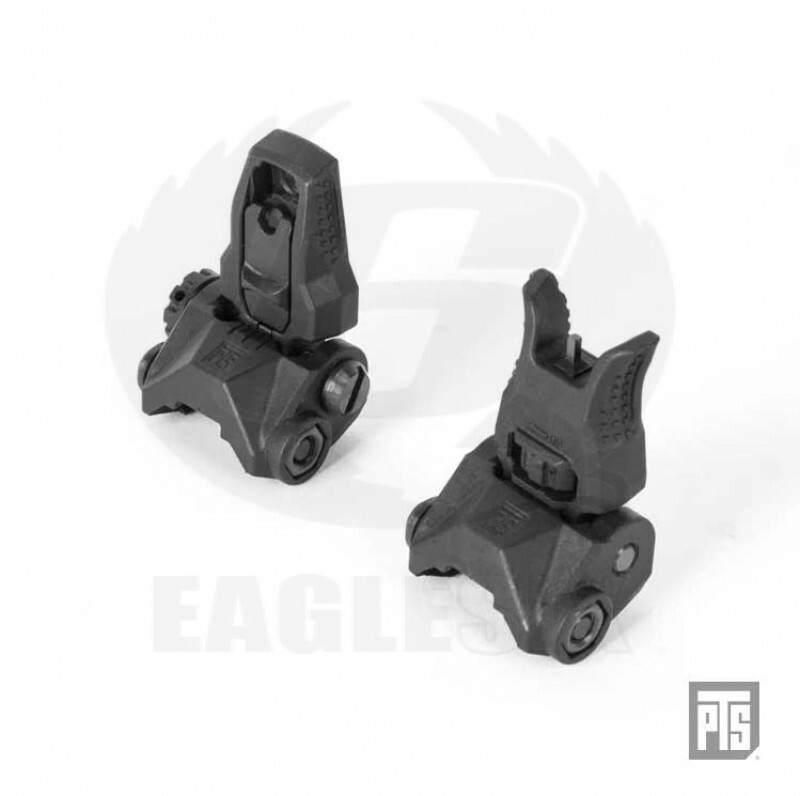 The EnhancedPolymer Back-Up Iron Sights (EPBUIS) are built with the PTS EP seriesstandard Dupont™ Zytel High Performance Reinforced Polymer for a high qualityproduct that is both durable and lightweight. The EPBUIS consists of a low-profile,snag-free design that is unobtrusive when retracted. The aggressively textured surfaces on thesides of the sights aid in slip-free, positive manipulation under any adverseconditions that may affect grip. The rear sight has a large and small sliding aperturethat can be toggled for either close-range, fast, sight picture acquisition shootingor long-distance precision shooting. Thedual apertures feature a ribbed texture on the back and an over-molded ledge onthe front for easier manipulation and increased surface contact on the apertureplate allowing you to have control from either side. Windage adjustments can befound on the rear sight and elevation adjustments can be found on the frontsight, thus giving the shooter maximum adjustability and versatility. EPBUIS sight set offers the perfect blend of designand practicality as well as maximum versatility.